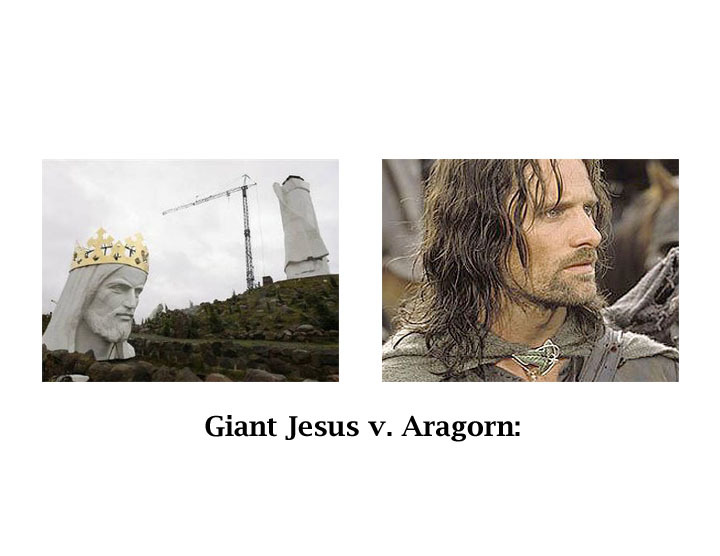 The Lord versus Lord of the Rings: who wins? 1. Flinty and stern faraway look ? Check. 2. Aquiline nose, long hair, beard, and deeply hooded eyes? Check. 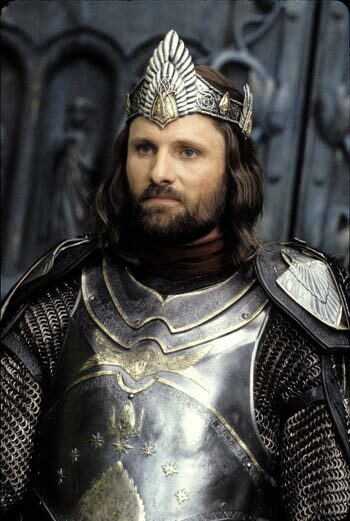 Memo to Giant Jesus: Aragorn called and he wants his look back.